Yay! for three day weekends. Boo for rain on all three days. Yay for finishing two books and reading one entire (v. short) book. I finished Send: The Essential Guide to Email for Office and Home by David Shiplely and Will Schwalbe. I received an advanced reader's copy of this book at SXSW. I also finished Blink: The Power of Thinking Without Thinking by Malcolm Gladwell, the same dude who wrote The Tipping Point. Last book that I read was the One Minute Manager. And I still have Blue Ocean Strategy that we're reading for the Book Club. It's good to read. It's even better to have time to read. I got an email today from a chick at Urban Living. (no link love from me). Ray and I had gone cycling a few Sundays ago with some friends and stopped in to be nosy at some open houses. I left my info, because you never know when you might be in the market for a half a million dollar, four storey, town home with a roof deck. So I got this email from this chick today and she spelled my name wrong. How much effort does it take to spell a prospect's name right? I know I have one of those tricky, unisex names, but it's not an unusual spelling, not like the way she spelled it, any way. A version that I've never seen. I wrote my name down on the form in all caps as well, just in case. AND my email address is firstname.lastname@gmail.com. Lest I forget what it looks like. 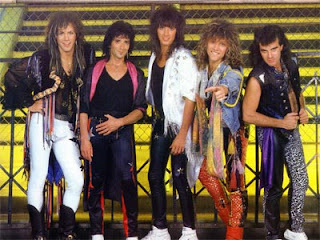 I can't believe that I've had this blog for almost 18 months now and I've not mentioned Bon Jovi once. I came home and hub hub was DVRing American Idol because they were featuring songs from BonJovi. They showed clips of Jon and David practising the songs. You might ask yourself, is this really blogworthy? 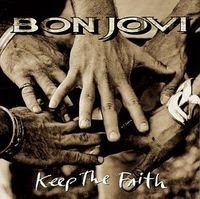 Whatever you think you know about me, you really don't, unless you know how much I love Bon Jovi. I grew up on BJV. 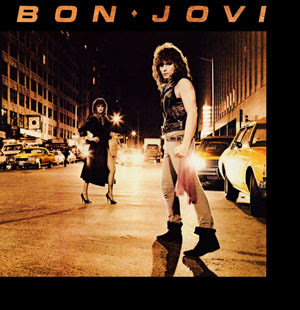 Loving Bon Jovi built character. You don't think so? 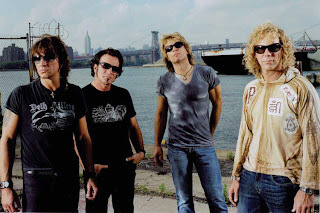 What's the first thing that came to your mind when you read Bon Jovi? Did you snicker? It's one thing if you're actually from Jersey, but I'm not. It'd be different if I was like True Jersey Girl, but I'm a singaporegrrl. When I was 19 I worked for a concert promoter in SG who was organizing a music festival on Sentosa. The promotions company was Christopher Cole Promotions. The headliners were Bon Jovi. They were touring to support Keep the Faith and this was the first time that they performed in Singapore. Working for the promotions company entitled me to a AAA pass, so, not only did I get to see my boys perform, I got to meet them and conversate with them. You might be expecting to hear some scandalous story of partying like a rock star with rock stars. There was partying but don't forget, this was Singapore circa 1993. The only person that I didn't get to meet was Jon. He was quite elusive. Anyone out there who wants to facilitate a meet and greet for me with JBJ, please go right ahead.